What Are Treatment Guidelines for Pelham Chiropractor Care? with your treatment plan, your pain should be reduced by at least 40 percent and can be reduced by as much as 80 percent. This is the typical response to treatment for most musculoskeletal conditions that are non-complex. Remember, each case is different, and each person’s situation is different so these results can vary. All in all, after a few visits to your Pelham Chiropractor, your pain should diminish, and you should start to feel better. The number of times that you should visit your chiropractor will vary and depend on your initial pain and condition. Once you begin to improve, your visits will decrease, and frequency and you will continue care to maintain your pain-free life. What Are Some Common Plans That You May Follow With A Chiropractor in Pelham? Your chiropractor in Pelham will do everything that they can to help you feel better as quickly as possible. They will want to ease the pain that you are feeling with as few treatments as necessary. The end goal of all treatment is to be able to offer you visits on an as needed basis. When you begin your chiropractic care, you can expect beginning visits to be about three times a week for around two to four weeks. After these visits you will be re-evaluated to see your progress and a new treatment plan will be then created. If you are experiencing improvement, your visits will be reduced, and you will then want to follow a proactive approach that the doctor gives you. On the off chance that you are not improving with your initial chiropractic care, you may need to look into other treatment plans with your chiropractor in Pelham. What Are Some Questions You Should Ask Your Pelham Chiropractor? What is their general treatment program or practice pattern? rvices does the chiropractic offer? Do these services include massages, instructions on appropriate exercises, rehabilitation advice, strength training tips, and counseling on nutrition? Will the doctor recommend further assistance if their initial treatment plan doesn’t work or help alleviate the pain? 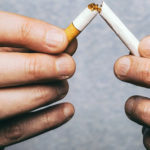 These recommendations can include supporting outside treatment from another doctor that may need to prescribe medications or even perform surgery if needed as a last resort. Has the doctor ever needed to refer past patients to other physicians? If they have, what were the extenuating circumstances? They should be able to give examples without violation of HIPAA. Once you have your questions answered, you should feel confident that you have chosen the best Pelham chiropractor for your care. What Should You Avoid When Looking For The Right Chiropractor in Pelham? A chiropractor who wants to manipulate areas of the spine that are symptom-free should be avoided. Areas that are not experiencing pain or any other symptoms should be left alone. This means that if you are experiencing back pain, your chiropractor should not manipulate your neck. A chiropractor who pushes the office’s nutritional supplements on you should be avoided. You should never feel like you have to purchase anything from the doctor’s office. While your chiropractor will recommend supplements, they should then give you information on them and then allow you to make the decision to purchase them (anywhere) without pressuring you. If patients are all treated the same, that chiropractor should be avoided. If you notice that your chiropractor has the same treatment plan for all of his clients or that all of the clients have the same thing wrong with them, you should get a second opinion. Avoid your chiropractor if they want to continue aggressive treatment once your symptoms have been alleviated. While you should continue care on an as needed basis, your chiropractor should want to fix your problems in a limited number of visits. If they push extensive treatment plans after you begin to feel better, there may be underlying motives that you may want to run away from. Your chiropractor should not need long-term treatment plans to make you feel better. If your doctor needs to implement a treatment program that is longer than three months right away, without good reason, you may want to find another doctor. Many patients find that they feel better within two to four weeks. If you have not found relief and your chiropractor does not offer any solutions or plans, it may be time to find another doctor, with a different plan. Choosing the right chiropractor may take time, and you will need to use your best judgment. 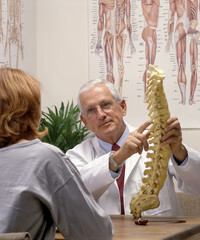 Be sure to research all of the chiropractors in your area and meet with a couple of them before making your decision. At McKenna Family Chiropractic, you will know that you have chosen the best Chiropractor in Pelham for you, right away during your consultation! Older Post Consider Chiropractic Care in Pelham and Biofeedback To Treat Your Migraines!